Seventy eight Modified Sedans drivers will converge on Kingaroy this Friday, Saturday and Sunday for the seventh annual running of the IBRP Kings Royal at the Kingaroy Showgrounds. Given no more than five of the nominated drivers drop out, it will be the biggest Kings Royal event to date. 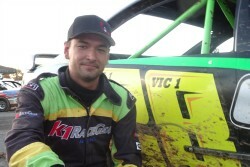 The event this year has attracted some of the biggest names of Modified Sedan racing, headlined by current Queensland Number One Aidan Raymont including former Kings Royal winners Greg Worling (2014 and 2017) and Matty Smith (2018). No less than twelve national champions will take part in this event that will pay out close to $40,000 in prize money this weekend. Raymont (2013), Worling (1998) and Smith (2017) are all former Australian Champions in Modified Sedan Racing, along with Andrew Blackwell (2010), Brett Baxter (2016), David Smith (2012), Gary Pagel (1999), Justin Drew (2006) and Max Clarke (2011) who are also former National Title holders in the class and racing in the Kings Royal this year. A further three drivers nominated, Brock Atkins (Juniors 2015), Steve Jordan (Super Sedans 2011) and Tim Atkin (Proddies - 2014), have also been previously crowed Australia One but in different classes. Racing is scheduled to commence each night from 5pm, with a full support program including Street Stocks and Production Sedans on Friday, Junior Sedans on Saturday and the second annual running of the Queens Royal on Sunday.